Chronic stress is quickly becoming an epidemic, with many health organizations comparing it to smoking. While it would be wonderful to get a massage everyday, that just isn’t possible! Luckily, studies show that when you’re immersed in a creative project, your brain show similar patterns to those seen during meditation. 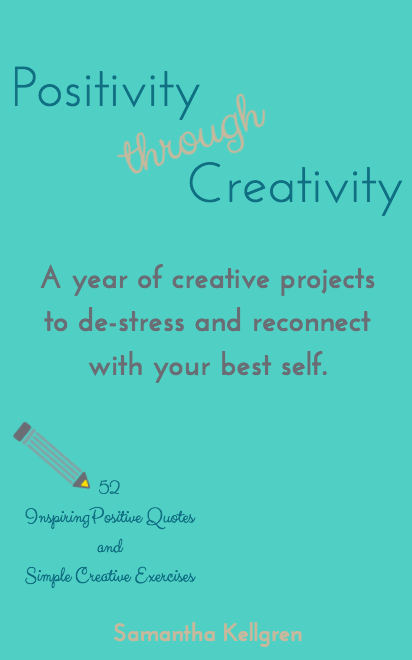 Creative flow lowers blood pressure, reduces stress, and fosters a positive outlook on life. In this book you get 52 short and sweet creative exercises to pull out when you’re ready to pull out your hair!